435. Warren’s central discharge turbine, plan view. 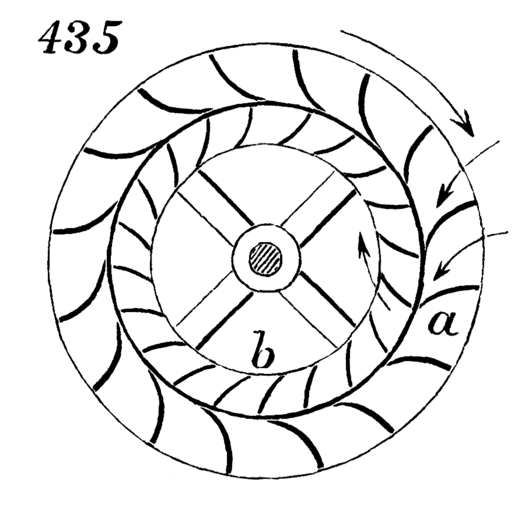 The guides, a, are outside, and the wheel, b, revolves within them, discharging the water at the center.